The Craftmade Ashwood Z7925 Outdoor Post Mount Light brings the ”wow” factor to an outdoor walkway thanks to its contemporary combination of wood and black tones. 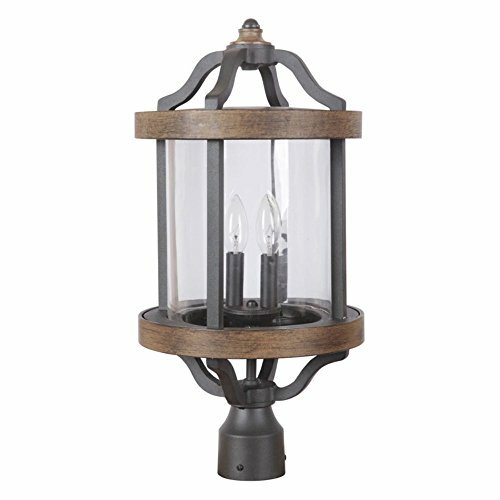 This uniquely shaped post mount light is enriched by a center clear glass shade that allows the light bulbs to glow brightly and illuminate your path. Dimensions: 10.9W diam. x 22.13H in.. Constructed of steel. Textured black finish. Requires two 60W bulb (not included).